Looking for that perfect present? Want to give something a little bit different? 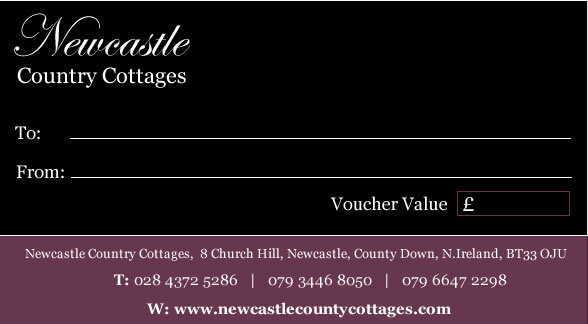 Whatever the occasion, Newcastle Country Cottages gift vouchers are the ideal gift for your friends and family. You choose the amount and then we’ll do the rest. Click here for more information on our gift vouchers.